How does scaling tall walls, exploring a massive indoor cave, and having a ton of fun with family and friends sound? 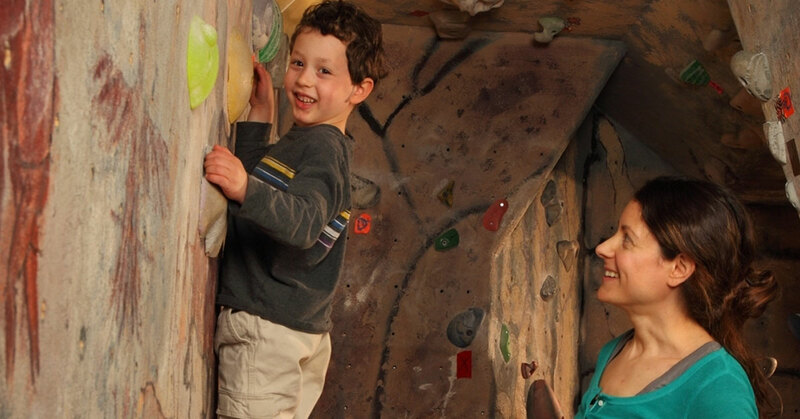 Albany's Indoor Rockgym (AIR) has a wide variety of rock climbing walls and structures, the only indoor caving system in the country, and several types of programs, clinics, and outings to cater to climbers of all ages and skill levels. They also do outdoor excursions, so you can put your new skills to use in an outside setting. Find out what makes AIR so unique, why they're the perfect place to start if you're curious about this sport, and how you can sign your kids up for their summer clinics. If you've ever seen photos of people rock climbing, or heard friends talking about it, and thought "I could never do something like that," think again! Rock climbing is not the climbing-Mount-Everest activity some imagine it to be. AIR's manager Carrie Soltis explains that many people assume you need serious upper body strength and the ability to do a bunch of pullups in order to rock climb, but that's not the case. 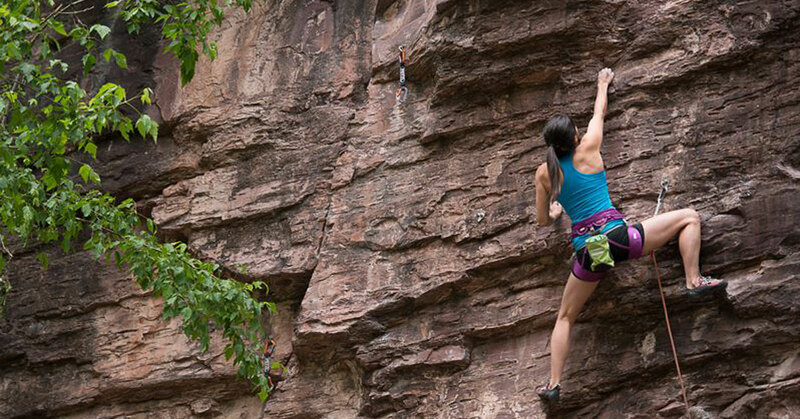 "Yes, it requires some amount of physical capabilities, but what most people don't know is that rock climbing is more about the strength and power of your legs and not so much the strength, or lack thereof, of your upper body," she says. In fact, Soltis herself had some fears when she started out - not with strength capabilities, but with heights. Although this is a work in progress, she has come a long way thanks to this exciting hobby. "Rock climbing helps me chip away at that fear in leaps and bounds once I was able find a sense of reassurance and trust in my equipment, what I was doing, and most important in my climbing partner, who literally had my life in their hands by keeping my rope secure while I am climbing." Furthermore, AIR specifically is an ideal place to start out rock climbing. All of the staff have their own personal rock climbing experience and thrive in sharing what they know and love with the guests. They're engaging, welcoming, and will cater to what you're looking to get out of rock climbing, whether you simply want to have a good time, hone specific skills, or just experience something different. Need more reasons to try rock climbing? It's a full body workout that combines several different exercises into one, burns as many as 500 to 900 calories in one hour of continuous climbing, and it's also been shown to reduce stress. 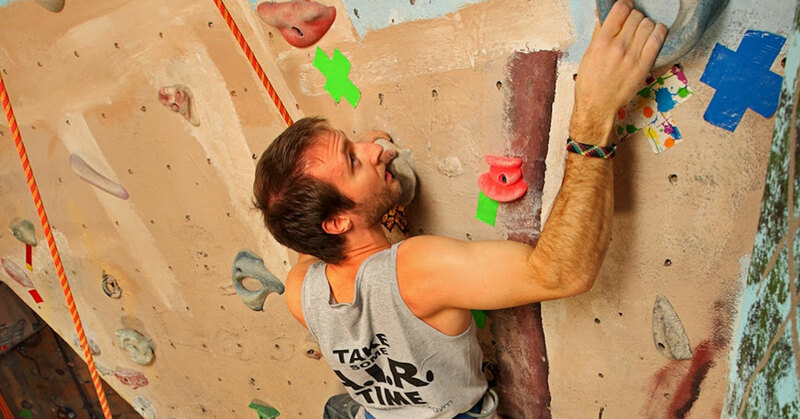 Although they're an indoor facility, rock climbing is an activity that can be enjoyed year-round. And, you can take advantage of outdoor excursions in the spring, summer, and fall so you can get even more out of this great activity. AIR comprises a variety of climbing walls, various structures, an indoor caving system with half a mile of tunnels, and they also have a 60-foot zipline. All the features have been created by people who bring years of outdoor rock climbing experience to the table. You can expect: overhangs, floor-to-ceiling cracks, trackable ceiling climbs, shadowy depths in the cave system, a cargo net, a mirror room, and more. There are several group outings and programs to choose from, or you can opt for one-on-one instruction, which is offered for all skill levels. 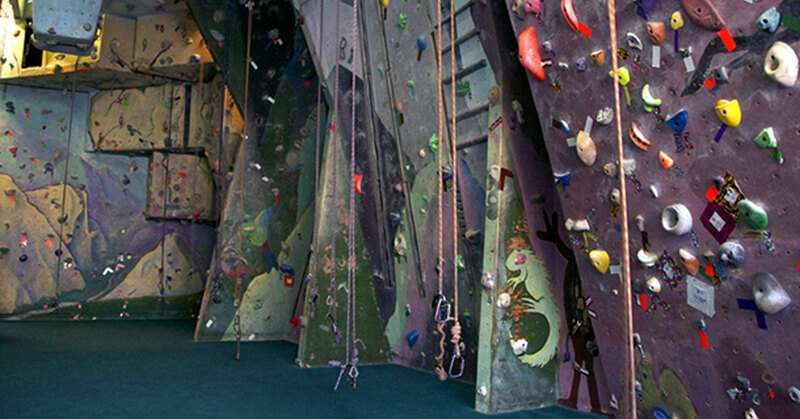 Host your kid's birthday party here, bring a group of friends or coworkers for a team building event during the rockgym's off hours, and even enjoy night climbs. Night climbs are an ideal way to fit rock climbing into a busy schedule. Complete your busy daytime schedule, and then reserve time at AIR to explore the gym between the hours of 8pm and 8am. The only requirement here is you must have 10 or more participants to reserve, but rock climbing is more fun as a group anyway! 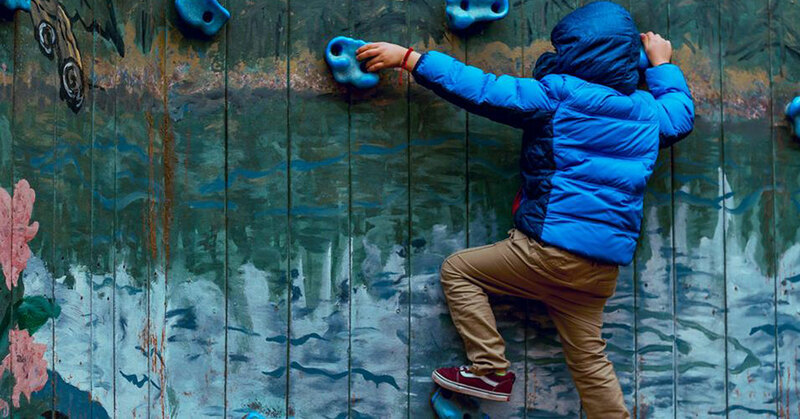 Think your kids would have fun rock climbing? Not only is this an engaging and healthy hobby to get into at any age, but kids in particular tend to take to this sport. Soltis explains the advantage of getting into rock climbing at a young age: "First of all, kids tend to be more bold/less intimidated by the activity of climbing. They can also establish and build upon their climbing techniques and physical strength while being a smaller and more nimble size, which helps them move up the wall more easily." With summer coming up, now is the perfect time to sign your child up for one of their summer day camp programs; there are also evening sessions for adults. For 2019, there are two five-day Level 1 Clinics available: July 8th to the 12th and July 22nd to 26th. Both clinics are 9am to 1pm each day for kids, and 7pm to 10pm for adults. There is also a Level 2 Clinic August 5th to the 9th for more experienced climbers. The first four days of camp the climbers are indoors building the fundamentals of rock climbing and preparing to transition to an outdoor setting. Then, they take what they know outdoors for the last day. "Topics covered in the first four days are basic climbing techniques, climbing safety, equipment familiarization, belay device lessons, knot tying, rappelling, and the incorporation of climbing/caving games," Soltis told us. "On the fifth day climbers take all that they have learned and apply to an all-day outdoor climbing experience." "My husband and I spent a good hour and a half laughing our butts off catching each other falling off the wall. We're not super athletic but it was a fun time. Staff spent plenty of time making sure we were comfortable before leaving us to our own devices." "My son had his birthday here and it was a total blast! The staff is wonderful and all the 11-year-olds were trained to belay each other. The caves are so unique and extensive, and the kids went back and forth between climbing and exploring that six hours went by without a dull moment." A unique and unparalleled experience, tons of options for programs and outings, and a knowledgeable staff ready to cater to you - don't wait to check out AIR!